Looking for high quality custom web design in Miami? Our highly creative and experienced team creates brilliant web designs that exceed our customer's expectations. Our creativity and professionalism is what sets us apart from our competition. Let us build your company's web site with the latest tools and technology to impress your customers. Our Inbound Marketing services focus on attracting new customers to your business, and keeping your existing customers happy. This approach to digital marketing requires a well thought out and structured effort from everyone involved, but offers incredible returns. Inbound is currently the best method to grow your business online. With over 7 years of experience in search marketing and pay per click campaign management. We are the leaders in effective SEM and PPC management. Our goal with your PPC campaign is to get you the most bang for your buck. This means we strive to drive higher quality leads to your PPC marketing efforts to increase the returns on your investment. 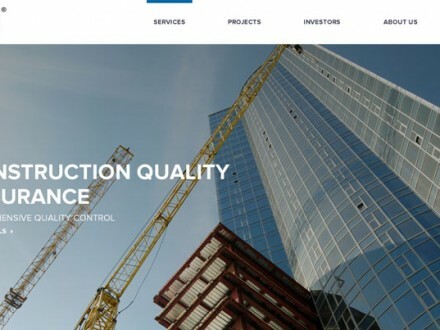 NV5 is a leading provider of professional and technical engineering and consulting solutions for public and private sector clients in the infrastructure, construction, real estate, and environmental markets. They needed us to create a website with improved functionality, and a design that reflected their commitment to quality and excellence. "As large engineering consultation firm, we needed to be sure our web team was up to the challenge of maintaining our quickly growing online presence. For being a small team, Evoke Design has really stepped up to the plate and embraced the challenge." 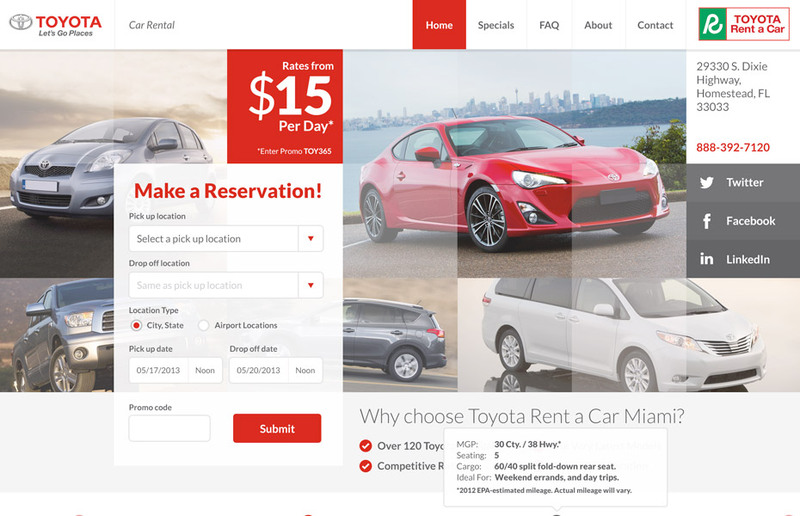 South Dade Toyota Rent a Car has been offering rental car services since 2009. Since then they have been recognized locally and internationally for their excellent service. They needed us to make an appealing website, that integrated with their 3rd party reservation software (REZCENTRAL) that made it easy for their customers to make a reservation from the comfort of their own home. "The team at Evoke was truly helpful. They really cared about our specific needs as a car dealership. They made sure to take the time to make sure they were meeting all our goals, and they really delivered." Our Miami Web Design Company successfully planned and implemented a high end Custom Web 2.0 Design featuring a Search Engine Friendly website structure. 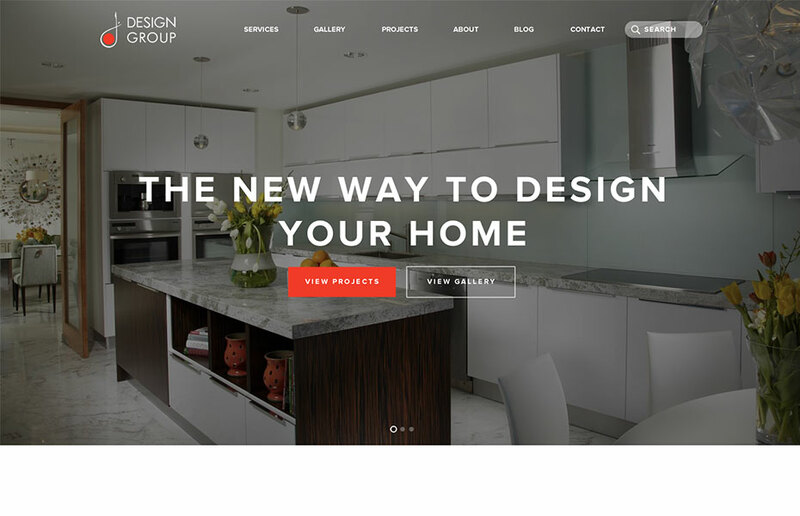 The project's main objective was to create a beautiful, elegant yet contemporary website design and portfolio that will appeal to a high-end interior design clientele while improving their search engine visibility and traffic. "Evoke Design perfectly captured our vision for what the website should look like. Their aesthetic sensibilities were perfectly aligned to ours throughout the entire project. As an interior designer I can tell you, that's pretty rare." H.M.B. Endoscopy Products is dedicated to providing the discerning endoscopist the absolute finest quality endoscopes. 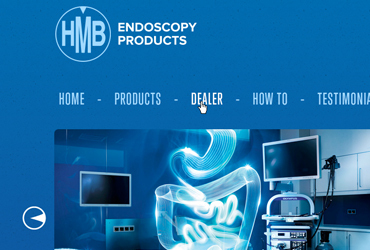 They needed us to design a fully custom ecommerce platform for them to sell new, used and refurbished endoscopes. We created a streamlined and responsive customer buying experience, as well as provide all the sales tool needed by HMB. "The entire project was completed with much professionalism meeting deadlines and within budget. Their attention to detail, project status response, and customer service were incredible. They delivered a website beyond our expectations. Outstanding work! Thank you."